Calendar of relevant events in the field of LSP. Additions welcome: Please send information on your events to Katharina Schindl (ejournals@facultas.at). 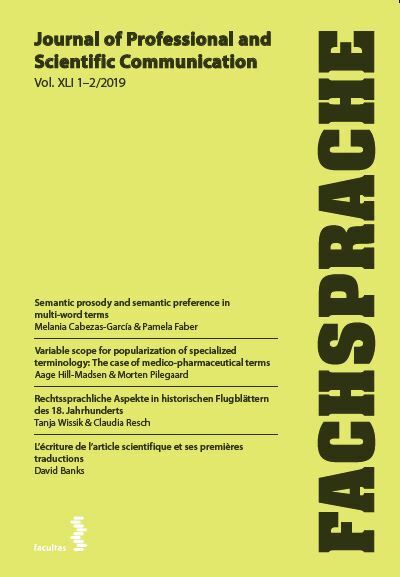 If you are interested in reviewing (any of) the title(s) below, please send an e-mail to the review editor (Ines.Busch.Lauer@fh-zwickau.de). Please also contact us if you would like to suggest books for review.